Arsenal defender Nacho Monreal hasn’t travelled with the rest of the squad for the trip to Dubai over the international break due to an injury concern. The Spanish stalwart has made 25 appearances in all competitions so far this season, and with the Gunners still battling for a top-four finish in the Premier League as well as the Europa League, Unai Emery will be desperate to have as close to a fully fit squad as possible. However, as noted in freelance injury analyst Ben Dinnery’s tweet below, Monreal could be a concern for after the international break as it’s reported that the 33-year-old hasn’t travelled with the rest of the 23-man squad as he’s nursing tightness in his calf. Although it doesn’t sound particularly serious, Arsenal are clearly not interested in taking any risks and so have left the defender behind in north London to undergo further treatment. Meanwhile, as seen in the images below, the likes of Hector Bellerin, Rob Holding and Danny Welbeck are all on the comeback trail after serious setbacks, as they did manage to make the trip to Dubai and join in with the rest of the group. 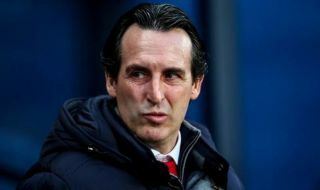 It’s a sensible move from the Gunners, as while their last game was against Rennes on March 14, they’re not back in action until April 1 when they host Newcastle United. That’s a long time to break away from playing, and while it gives them an opportunity to regroup and allow players to recover fully, they will need to stay sharp and fit, and that is arguably what the Dubai training camp was designed to do.